WIRT’s Third Year: Cause for Celebration! During our third year as a direct action collective confronting the root causes of climate change by asserting direct actions and promoting locally organized solutions, WIRT has produced myriad protests, rallies, direct action workshops, solidarity journeys, potluck meetings, presentations, public comments, issue alerts, action reports, newsletters, radio shows, videos, and photos. Expanding integration of our strategies and tactics with our friends among nine regional Rising Tide collectives and a dozen tribes has achieved coordinated, regional demonstrations of opposition to the fossil fuel extraction and and transportation foisted on the environmentally robust Northwest by explosive shale oil trains, dusty coal cars, toxic oil and gas wells, and colossal tar sands equipment, pipelines, refineries, and tankers. In solidarity with frontline communities of resistance and our international, volunteer, grassroots network of activists, we will continue our steadfast defiance of the corporate and government forces of exploitation and death, in defense the ultimate, sacred dignity of the Earth, its life, and all humans. Early in April 2013, two activists of newly formed Rising Tide Seattle successfully locked down inside the Canadian consulate in Seattle, Washington, demonstrating solidarity with other tar sands resistance struggles and bringing the total of brave anti-tar sands arrests and charges in four Northwest states to 20 over the prior two years. Amongst the enduring angst of frontline Idaho and Montana residents over the 2011-12 unstoppable, regional passage of 350 enormous facilities modules of Imperial Oil’s Kearl Oil Sands Project, the mining operation commenced production in Alberta around WIRT’s second anniversary, despite delays and cost escalations. Palouse region academics and activists welcomed three highly knowledgeable Alberta tar sands experts to the University of Idaho: award-winning author Andrew Nikiforuk, Pembina Institute program director Jennifer Grant, and industry veteran Don Thompson. For Mr. Nikiforuk, WIRT and anti-megaload allies co-sponsored a book promotion open house at BookPeople of Moscow, a Washington State University workshop about dirty energy dilemmas, and a tour of the Highway 12 wild and scenic river/wildlands corridor in Idaho threatened by tar sands equipment transports. But multiple WIRT activists held anti-tar sands signs in the back of the auditorium during Mr. Thompson’s presentation, and posed difficult, oppositional, audience questions. As WIRT contemplated a statewide ballot measure banning fracking and waste injection wells, the Idaho legislature passed a bill requiring signatures of six percent of the registered voters in half of Idaho’s legislative districts, to qualify a citizen initiative or referendum for the ballot. Idaho lawmakers also let any non-freeway routes in the state be designated for extra-heavy trucks weighing up to 129,000 pounds, with input from local highway jurisdictions and public hearings. With other regional groups in mid-April, WIRT gratefully reached out to the Pullman community at the Earth Week Environmental Occupation of Terrell Mall on the Washington State University campus. On the next Saturday, WIRT staffed a minimal booth at the Moscow Hemp Fest in East City Park. At the Kenworthy Performing Arts Center in Moscow and 35 other locations on Earth Day, April 22, WIRT and anti-tar sands allies hosted a nationwide, simultaneous screening of the documentary Bidder 70 and a live-streamed conversation with Tim DeChristopher, the Utah climate activist recently released from federal prison, who stopped an unjust federal oil and gas lease auction. We established a Twitter account and website events calendar to more actively involve WIRT members in our many initiatives. In May 2013, WIRT honored the outstanding community spirit and service of core WIRT members and tar sands megaload blockaders Bill and Dianne French, as Moscow Renaissance Fair King and Queen, with Moscow Volunteer Peace Band march onto the East City Park grounds. We also celebrated previous ‘Ren’ Fair royalty among our ranks with the fortieth annual fair parade. On the next weekend, we traveled to Spokane, Washington, to give a guest speech about critical climate issues, educate our neighbors through an outreach booth, and enjoy some live music, tribal drumming, and round dances the Word to Your Mother event held in Riverfront Park. Moscow climate activists also interviewed for two extensive articles in The Fig Tree about the regional megaload campaign and climate change. Kinder Morgan withdrew its planned investment in the proposed Port Westward coal export facility in early May, after the ports of Grays Harbor and Coos Bay had similarly dropped plans since the previous August, thus halving the six originally planned coal ports across the Northwest. During mid-month, we commenced our Moscow outreach every Saturday until November at the WIRT Moscow Farmers Market table, and threw a WIRT Activists House Party to stimulate creative ideas for Fearless Summer actions among core WIRT activists. As a partner organization and board member, WIRT also participated in the Paradise Ridge field tour led by the Paradise Ridge Defense Coalition, exploring the implications for rare, native Palouse Prairie remnants and wildlife habitat of the Idaho Transportation Department’s proposed realignment and expansion of Highway 95 south of Moscow. On the Thursday evening before Memorial Day, a southbound Edmonton-area Mullen Trucking driver, hauling an oversize Alaska drilling equipment box with a $10 online permit and following a pilot car with a height-indicator pole too closely, struck steel framework trusses and a cable of an Interstate 5 bridge near Mount Vernon, Washington. The “functionally obsolete” span and three people in two vehicles collapsed into the icy Skagit River without the truck, ahead of tens of thousands of disrupted holiday vacationers. Although mainstream media steered the conversation away from such inappropriate vehicles toward aging infrastructure replacement, the incident may have finally catalyzed Washingtonians toward resistance to fossil fuel extraction transports on their roads, in a state that has originated the bulk of tar sands megaloads. June 2013 not only witnessed songwriter Roy Zimmerman’s Moscow performance premiere of his song co-written with Melanie Harby for WIRT, The Tide is Rising, but a robust, expansive, allied campaign against renewed oil and gas drilling in Payette County. With Idaho Residents Against Gas Extraction (IRAGE) comrades, we coordinated Stop the Frack Attack, Idaho! protests at Idaho Department of Lands offices at Boise, Coeur d’Alene, Deary, Kamiah, Orofino, and Saint Maries, confronting the director outside the Boise headquarters about drilling and potential fracking of a natural gas well in the floodplain confluence of two water bodies, near a riparian wildlife refuge, upriver from a city water supply intake, and under state lands and rivers. The continent-wide, early-June week of action grew into a month of action that caused the oil and gas development leasers and regulators at IDL to admit to allowing impending fracking in Idaho and to issue media counter-releases and public disinformation fact sheets. WIRT traveled twice to Boise to demonstrate at the state agency and to educate the public about oil and gas and other dirty energy issues at the Community Progressive III convergence of community outreach booths and information workshops in Julia Davis Park. Against three of four new well drilling permit applications over the next year, we wrote comments that IDL posted but dismissed, despite possible legal repercussions. As June transformed in July 2013, our Fearless Summer demonstration with Spokane comrades, against escalating coal export train traffic through their Washington sacrifice zone, brought dozens of outraged citizens to the streets of Coeur d’Alene and Spokane, and prompted the third of four sets of railroad trespass charges in the Northwest since December 2011, in solidarity with comrades in British Columbia, Washington, and Montana. Just before the Fourth of July holiday weekend, six Idahoans and two Nebraskans journeyed to Fort McMurray, Alberta, to express our anti-fossil fuel extraction solidarity with First Nations allies at the fourth annual Tar Sands Healing Walk. We returned too late to participate in the hearing and citizen rally in Hermiston, Oregon, against Ambre Energy’s planned Port of Morrow coal export terminal in Boardman, but sent written comments to the Oregon Department of Environmental Quality on behalf of our thousands of members. Collaboratively training, strategizing, and organizing to expand the anti-extraction and climate justice network and movement in solidarity with frontline communities in the U.S., Canada, and Mexico, WIRT participated in the mid-July Rising Tide Continental Gathering in Green River, Utah. But desert heat and time-crunches kept us from the following Canyon Country Action Camp protesting looming Utah tar sands mining. Before August 2013 dawned, WIRT staged a protest of the two newly-arrived Omega Morgan-hauled evaporators at the Port of Wilma, Washington, and found one missing, as Portland Rising Tide and other colleagues downriver symbolically hung banners and blockaded with kayaks, for a 350.org Summer Heat action proclaiming “Coal, Oil, Gas: None Shall Pass” (on and under the Columbia River bridge where two megaloads has just passed). August started with strong protests near two recently drilled gas wells outside New Plymouth, Idaho. These and subsequent, vigilant, allied, on-site monitoring and protesting activities documenting diesel spills on well pads and seismic testing too close to residences and underground gas pipelines may have provoked a February 2014 Idaho “Ag-Gag” law that a broad coalition of our fractivist and independent journalist friends are currently contesting in federal court. In early August, we traveled to Salt Lake City, Utah, to train as trainers teaching some of the 70,000 people who have signed on to the Keystone XL Pledge of Resistance. Two nights later, on August 5-6, Highway 12 in Idaho erupted with four nights of passionate blockades organized by Nimiipuu (Nez Perce) tribal leaders and activists against the first of two Omega Morgan tar sands megaloads that two WIRT women had confronted at the port. Dozens of WIRT activists contributed resistance and reporting throughout the week, and encouraged and supported the uprisings that occurred in Idaho and Missoula, Montana. Several organizers also participated in the ensuing handful of Nimiipuu tribal activists meetings and teach-ins at Lapwai, Idaho. September 2013 brought a Boise indigenous-led rally against tar sands transports at the Idaho Capitol steps and the Idaho Rivers United/Nez Perce federal court hearing about Highway 12 megaloads that resulted in Judge Winmill’s preliminary injunction again diverting colossal shipments from the Clearwater Valley to the Palouse. As court wrangling continued and our arrested Montana comrades denounced coal exports from Helena train tracks, WIRT co-hosted a benefit concert for the 28 Nez Perce megaload blockaders cited and jailed on Highway 12 in August. Although the event attracted a New York Times reporter and photographer and emphasized Nimiipuu voices, the newspaper mis-attributed and failed to recognize the event co-sponsors. WIRT and our regional allies spoke out against the proposed Millennium Bulk coal export terminal in Longview at public scoping hearings and rallies in Spokane and Pasco, Washington. A few members of most of the nine, newly emerging Rising Tide collectives across the Northwest, including WIRT, gathered for a stormy, late-September regional summit at a former Bellingham, Washington, communal farm, on the heels of a Rising Tide panel discussion in Seattle, entitled Northwest Fossil Fuels: Exports & Resistance from Oregon to Alaska. In the relative October 2013 calm before the regional megaload resistance storm lasting four winter months, stranded Port of Wilma evaporator owner Resources Conservation Company International (RCCI) filed an appeal with the U.S. Ninth Circuit Court, contesting the Highway 12 megaload blockage decision. Hidden in a port warehouse since before the Nez Perce gauntlet of its twin, the second megaload emerged as four cylinders (and a later core) that the Idaho Transportation Department (ITD), police, and Omega Morgan conspired and succeeded in sneaking past WIRT protesters in the Highway 95 sacrifice zone during mid-month. Two days later, IRAGE and WIRT staged a second year of Idaho Global Frackdown protests, marching through Saturday Boise public markets to the Idaho Capitol steps. Although IRAGE comrades succeeded in convincing Payette County commissioners to mandate baseline well water testing before drilling, the planning and zoning commission approved two conditional use permits for a natural gas company to collect and treat natural gas near New Plymouth, Idaho. It consented to a hydrocarbon liquid treatment facility with a dehydrator, which would emit constant noise and disturb nearby neighbors and livestock, as well as pipeline odorizing and connecting the natural gas in gathering lines from well sites to two regional pipelines and Idaho Power’s Langley Gulch power plant. These later appealed facilities would allow the first commercial production, distribution, and sale of natural gas in Idaho, with subsequent royalty payments to state and private mineral lease holders. Upon return to north Idaho, WIRT and Nimiipuu allies caught an oversize Vietnamese cylinder likely used for natural gas processing barely but swiftly clearing Forest Service size restrictions for megaloads on Highway 12. In the wake of several explosive and deadly oil train wrecks across the continent, citizens turned out in oppositional force at late-October public meetings about the proposed Tesoro Savage shale oil terminal and region-wide Bakken shale oil trains in Vancouver, Washington. During the second weekend in November 2013, WIRT led two direct action training and planning sessions in Spokane and Moscow, to prepare friends to confront the dirty energy invasions of tar sands infrastructure and coal and shale oil trains. Within hours, the largest ever Highway 95 megaload, the Omega Morgan-hauled evaporator core, met still-skiddish Moscow resistance on Washington Street. Bellingham and Spokane comrades assisted WIRT over the next two nights with inaugural Interstate 90 megaload monitoring and Coeur d’Alene and Wallace, Idaho, protesting. Unlike the underpopulated WIRT and allied protesting and monitoring efforts that greeted the initial Omega Morgan-transported full evaporator and two smaller cylinders in October and December 2012 – the historic first megaloads to reach Alberta tar sands mining operations via Highway 12 – the region has mounted strong physical resistance to these shipments starting with the five August 2013 Nez Perce and allied protests in Idaho and Montana that provoked 28 arrests. After the dismantled evaporator outer shells and core cleared Highways 95 and Interstate 90 in Idaho over the course of four nights of WIRT and allied protesting and monitoring in October and November 2013, three of the eight to ten evaporators originally slated for Highway 12 have departed the Port of Umatilla and reached Canada or Bonner, Montana, in four months. But along the way, they, their designers, haulers, and permitters have faced 28 direct confrontations with Northwest activists, resulting in 24 arrests and two citations. Resistance beyond the interior Northwest re-emerged at the November 18 public Omega Morgan megaload presentation in industry-friendly John Day, Oregon, where WIRT and newly connected allies asked some difficult and disruptive questions. At the November 25 Oregon transportation department and citizen commission in Ontario, a Warm Springs tribal member also objected to lack of indigenous consent sought by the state and megaload hauler before passage through tribal conservation and treaty lands, an argument later amplified by the Umatilla tribal board chair to Governor Kitzhaber. Climate activists from Albany and Corvallis, Oregon, joined WIRT and allies of newly formed Spokane Rising Tide at the Port of Umatilla, to confront the first tar sands megaload to cross Oregon, but it never budged on the Sunday and Monday nights before Thanksgiving. In December 2013, on-the-ground opposition to tar sands megaloads rose to historic heights, with robust actions in eastern Oregon and Idaho organized, supported, and advised by WIRT. December 1 and 2 protests at the Port of Umatilla, led by Portland Rising Tide and the Confederated Umatilla Tribes, saw the first two lock-downs to a megaload pull-truck and a soft blockade by an indigenous elder, incurring three arrests and accompanying restraining orders. As the Omega Morgan-hauled load languished during a week of bitterly cold, snowy weather, after only one night of travel to Pendleton, Oregon, the Umatilla Tribes held nightly load-side protection ceremonies, and Rising Tide Seattle visited the Fife, Washington, office of Omega Morgan, demanding some accountability. Meanwhile in Idaho, six previous participants in the summer, indigenous-led Tar Sands Healing Walk in Alberta presented their perspectives to a Moscow audience. Regional residents vociferously denounced the proposed Tesoro Savage shale oil/tar sands terminal in Vancouver, Washington, at a Spokane Valley public scoping hearing and rally and through written comments. On December 12, Portland Rising Tide protested megaloads in the Hillsboro, Oregon, office of Omega Morgan, and Rising Tide Seattle invaded the Bellevue, Washington, office of Oregon megaload designer/owner and Idaho litigator Resources Conservation Company International. Four days later, Grant County and other police jailed 16 West Coast Rising Tide and allied activists for two nights, when only three of them locked-down to two disabled vehicles in the John Day area highway ahead of the first Oregon megaload and others stood in peaceful support on the roadside. On December 20, Portland Rising Tide visited the Portland office of the Oregon Department of Transportation, and WIRT activists attended an ITD public meeting in Coeur d’Alene, Idaho, that flaunted heavy hauler Mammoet’s plans for a temporary Interstate 90 on-ramp for three 1.6-million-pound tar sands refinery megaloads, where interchange construction had previously collapsed in Coeur d’Alene Lake. The Umatilla Tribes and Portland Rising Tide convened another demonstration and ceremony when the second Oregon megaload arrived in Pendleton two days before Christmas. The last weekend in 2013 found WIRT and 350 Boise on the inaugural megaload frontlines of southern Idaho, after extensive coverage of our protest plans throughout December. With local activists, we stood against the tar sands transportation project in Marsing, where even the Idaho Statesman documented our efforts, and at Timmerman Junction among Wood River/”Sun” Valley residents more responsive to such demonstrations than Boise citizens. The first days of January 2014 surprisingly revealed the editorial board of the Vale, Oregon, newspaper expressing somber concerns about megaload damages to local roads, and eastern Idaho Shoshone-Bannock tribal members releasing a formal statement decrying lack of tribal consultation before ITD megaload permitting and passage and possible adverse transport effects on treaty lands and waters. The John Day newspaper even announced WIRT direct action workshops, which we hosted along with megaload slide shows and documentary presentations in Hailey and Boise, Idaho, and larger protests with Occupy Boise and allies in Mountain View and again at Timmerman Junction, Idaho. After two weeks in southern Idaho, we returned to Moscow to display our displeasure with dismissed verbal public input at a mid-January city meeting for government and corporate officials considering the Mammoet oversize loads planned for Highway 95 and Coeur d’Alene temporary on-ramp travel. During the third week of January, WIRT participated in, documented, and assisted media coverage of Missoula, Montana, protests of the first two Oregon Omega Morgan transports and a smaller megaload using the same route. Indian Peoples Action, Northern Rockies Rising Tide, and Blue Skies Campaign led the blockading round dances and sit-ins that resulted in two arrests and two citations. February 2014 ramped up more Oregon and Idaho megaload protests. On February 10, Act on Climate (our Albany and Corvallis, November co-protesters at the Port of Umatilla) held a rally on the Marion County Courthouse steps in Salem, Oregon, as Walla Walla (Umatilla) Chief Yellowbird and Peter Goodman filed a lawsuit assisted by WIRT against the Oregon Department of Transportation, claiming that the agency had not acted in the public interest. Although no Portland area comrades converged on the next day for carpools to a Umatilla gathering and port demonstration against the third megaload, Umatilla tribal activists monitored miles of megaload passage on Highway 395 and Interstate 84 to Ukiah, Oregon, as they had during the first two load transits. Apprehensive about possible megaload impacts to city streets and buried utilities, the Nyssa City Council denied a proposed alternative route on city streets skirting Clark Boulevard, also contested for megaload use as a sub-standard, non-state route in Malheur County, Oregon. WIRT sent Nyssa officials and the Vale, Oregon, newspaper editorial board a letter expressing supporting and describing Highway 95 megaload accidents and damages. On Friday and Saturday, February 21 and 22, a dozen local Idaho women protested and monitored the third Omega Morgan transport in a record five locations in two nights: Hammett, Mountain View, Timmerman Junction, Craters of the Moon National Monument, and Arco, Idaho. Although visible megaload resistance never arose in Salmon, Idaho, area residents monitored, researched, and countered the industrial invasion with plenty of documentation and coordination with WIRT. After several grateful days in Idaho Falls, WIRT again participated in another allied presentation entitled A Healing Walk through the Alberta Tar Sands at Washington State University in Pullman, and organized a tribal and climate activists gathering about the Mammoet megaloads on the Coeur d’Alene Reservation in Plummer, Idaho. Thanks to a Earth First! Journal editor, Resistance to Alberta Tar Sands Megaloads in Idaho and Beyond will appear as a grassroots anthology chapter written by WIRT and Portland Rising Tide activists in Grabbing Back: Essays Against the Global Land Grab, published by AK Press this spring. In March 2014, WIRT marched with our organizational banner against a strong head wind, down Main Street in the Moscow Mardi Gras Parade, and supported but could not attend, due to winter weather, a Rising Tide non-violent direct action workshop at the University of Montana in Missoula. We commented on the final environmental impact statement for the Keystone XL pipeline, and learned on March 5 that our February 6 allied letter of concern to federal and state transportation, wildlife, and environmental agencies has caused our former adversary, Imperial Oil’s heavy hauler Mammoet, to pursue a stronger environmental analysis and an alternative route for its looming heaviest, longest, and widest ever megaloads bound for a Montana tar sands refinery tripling it production. WIRT traveled for five days in mid-March to document the Mammoet megaload route, protest, network, and build direct action skills. At the third Oregon megaload-blockading Indian Peoples Action and allied round dance in Missoula, Montana, police arrested three women. Four Rising Tide trainers taught fifty or more members of nine Northwest Rising Tide collectives advanced blockade strategies and tactics at Western Washington University in Bellingham. 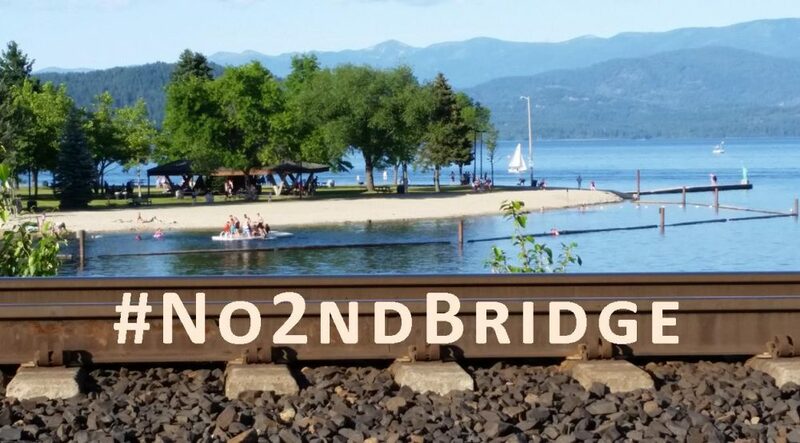 In late March, WIRT co-hosted another tribal and climate activists gathering about the Mammoet megaloads in Plummer, and offered a megaload slide show and tar sands documentary in yet another transport diversion sacrifice zone, Sandpoint, Idaho. We gave a third Alberta Tar Sands Healing Walk presentation at the University of Idaho in Moscow, Idaho, only days before we again reveled with friends and supporters in a benefit concert at the Third Annual Celebration of Wild Idaho Rising Tide, commemorating WIRT’s third anniversary and reinvigorating our direct action collective that confronts climate change perpetrators.